For Federal, State, & County Election Information visit MiamiDade.gov/elections. Any person, who is a resident of the City, has qualified as an elector of the State, and registers to vote in the manner prescribed by law shall be an elector of the City. All elections for the City Commission and Mayor shall be conducted on a nonpartisan basis and no ballot shall show the party designation of any candidate. A General Election shall be held in each even-numbered year in conjunction with Miami-Dade County General Elections. 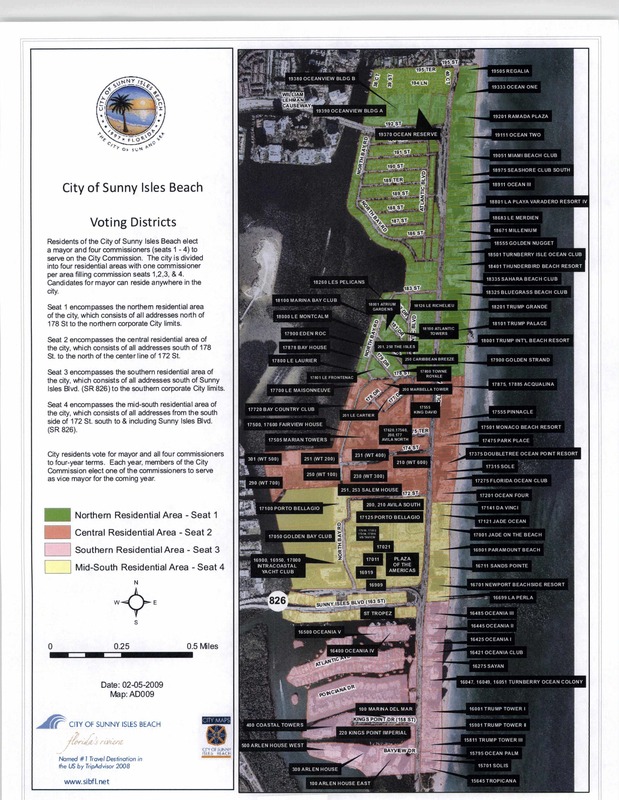 Pursuant to the Charter of the City of Sunny Isles Beach and Section 26-13 (G) of the City Code, “No election for Mayor or any Commission seat shall be required in any election if there is only one duly qualified candidate for Mayor or for any Commission seat. That candidate shall be considered elected automatically.” Therefore, no elections were held for Mayor and Commissioner Seat 04 on November 6, 2018. Explanation of “at-large” – All the registered voters in the City vote for each seat regardless if the voters live within the boundary of that seat. Every resident has the chance to vote for each commissioner or mayor for every seat in the City. *All necessary documentation to run for office may be obtained from the office of the City Clerk. Search public records and official documents from the City of Sunny Isles Beach. Request Public Records from the City of Sunny Isles Beach.